A few years ago I bought myself a Kindle HD Fire, hoping that it will help me with my studies. I was thinking of ways to save myself money by downloading my college books or other reading materials for my classes, though ebooks for college courses are not as cheap as I had imagined. I also purchased the kindle during the time my daughter began her therapy sessions. My intentions were for me to use the kindle for school, but I didn’t have luck in way of obtaining WiFi coverage at the college I was going to, unless I could find one of the very, very few hotspots where I could use my kindle; so it was generally used at home. 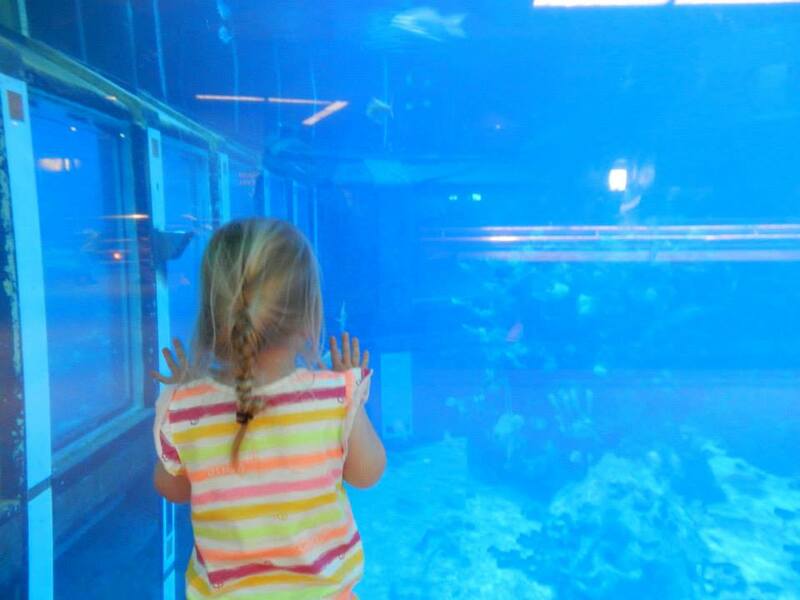 During the summer months, I kept my daughter home, rather than put her in daycare. It saved me money, plus, I was home majority of the time and would rather spend that time I had with her. Since she wasn’t going to daycare now, her therapists began visiting her at home. 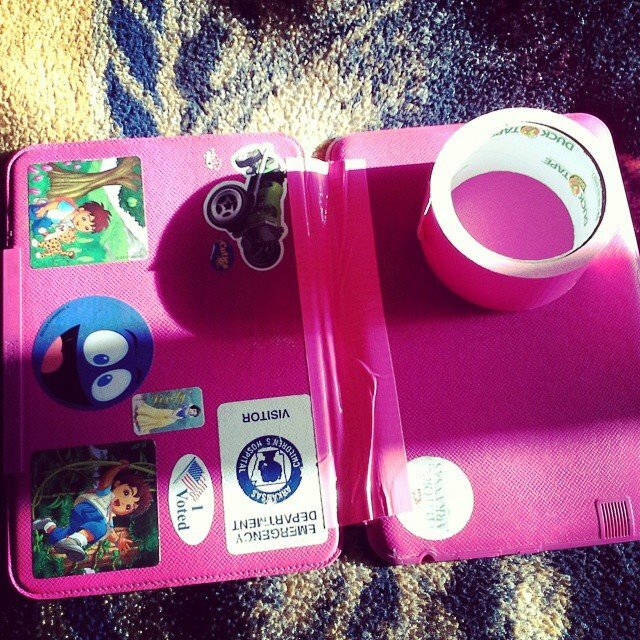 Upon their many trips to my house, I noticed that they were using an iPad as a tool for part of her therapy. They showed me a few apps I could download for her that would be beneficial for her in OT. Since I had a tablet, of the sort, I began downloading all kinds of free apps for her, to help teach her the ABC’s, counting, colors, shapes, all kinds of helpful learning apps for children her age. At that moment, my kindle became her kindle and has been ever since. It’s encased in a pink hard leather case, decorated with many stickers from our trips to the ER or doctor visits, though some of those stickers have since been ripped off. The kindle has been a treasured item for my daughter, who is easily bored when there isn’t any form of entertainment for her. Flash forward a few years and to the present…it’s endured water, juice, and milk submerges; many drops to the floor (carpet and concrete covered); a near attempted meeting with the toilet; an almost attempted dunk into the Arkansas River, landing in the muddy river banks; a trip to Disney World, followed by a trip to the beach; a couple of family reunions during the hot summer days; and many roads trips thereafter and is still working. Only once had I taken it back to Best Buy, where I had purchased it, for a reboot, but it has been one tough piece of wonderful electronic device I had ever purchased and to have survived my five year old for the past three years plus. Though, yesterday, the wonderful case which holds the kindle from meeting its dreadful doom, finally met its match…a pair of scissors. Those scissors are usually kept up high, so that tiny little hands can’t reach them. Those scissors have chopped bangs a tad bit too short, chopped up a tail of a stuffed dinosaur, chopped hair off a stuffed Pegasus to mimic a horrible mullet. Yes, those scissors have many reasons to be kept put away…in a safe place…until yesterday, when someone left them lying on the kitchen table, where they were being used to cut quilting fabric. I followed her into the kitchen, took the scissors left lying on the kitchen table and put them back in a safe place. Then went to find my roll of duct tape, which coincidentally is the same color as my daughter’s kindle case. Duct tape, pink or any other color, can fix anything, including her kindle case. She just happened to have cut the case along the fold, allowing me the chance to save it, whereas, the many other things that she’s broken had not been savable. But on this occasion, it was. And once again, I’m the Superhero Mom, whose daughter is now toting a kindle, whose case is held together by pink duct tape. 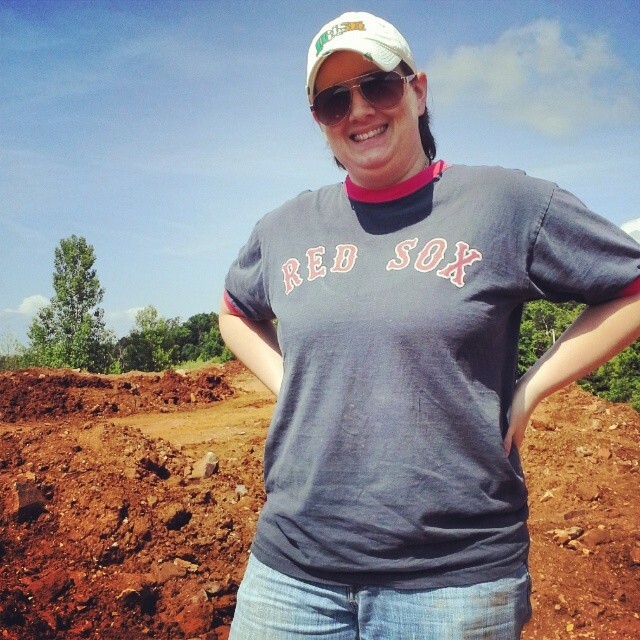 This entry was posted in Blog, My daughter and tagged anthropology, archaeologist, archaeology, Arkansas, ASD, author, Author Jennifer Adams, author Jennifer N Adams, Autism, Autism awareness, autistic children, blog, blogging, children, children with special needs, children's books, college, college books, college student, college students, Disney World, duct tape, ebooks, electronic devices, forensic anthropologist, forensic anthropology, forensics, humor, kids, kids and electronics, kids and technology, kindle, Kindle HD Fire, moms, mothers, parenting humor, parents, pink, school, scissors, sensory processing disorder, sewing, siblings, single mom, single moms, single parent, single parents, SPD, Special needs, Stuff my kid has ruined, tablet cases, tablets, tablets for kids, technology, toys on April 22, 2015 by JenniferNAdams. 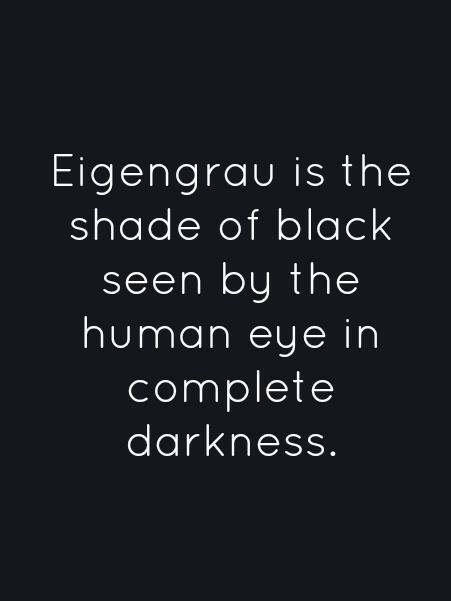 This week’s One Word Photo Challenge is, eigengrau. This was a color I had to look up so that I could help you understand the color better by describing it. 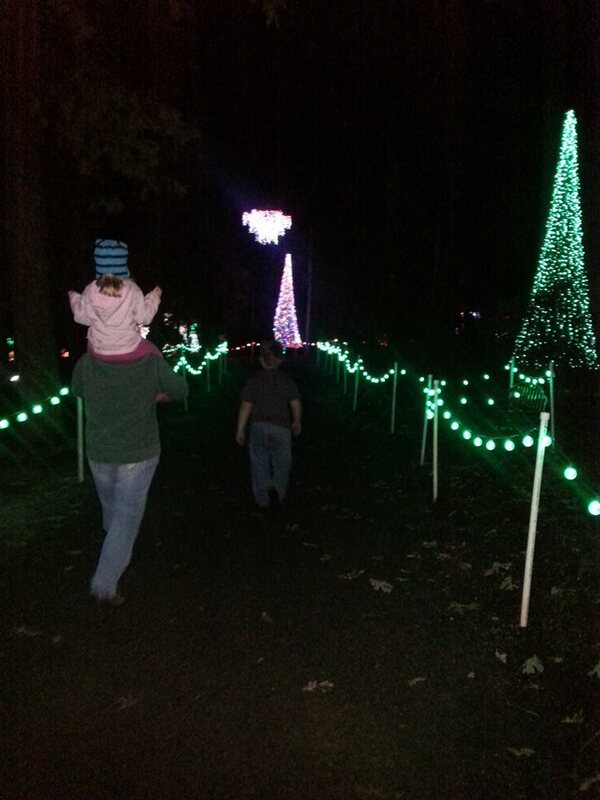 My sister and I took our kiddos to see the Christmas lights at Garvin Gardens. Of course, I had mini me up on my shoulders. So much easier to keep up with her that way, lol! This entry was posted in Photo Challenge and tagged Arkansas, ASD, author, Author Jennifer Adams, author Jennifer N Adams, authors, Autism, Autism awareness, autistic children, batman, blog, blogging, Bryant Arkansas, children, children with special needs, children's book author, Christmas, Christmas lights, costumes, cousins, creative writing, culture, daughter, eigengrau, family, Garvin Gardens, Halloween, kids, moms, mothers, one word photo challenge, parenting, parents, photo-challenge, photography, sensory processing disorder, siblings, single mom, single moms, single parent, single parents, SPD, Special needs, superheros, Weekly Photo Challenge on April 16, 2015 by JenniferNAdams. I almost didn’t make this week’s photo challenges, as I have a pile of college homework to do; it’s almost the end of the semester. This week’s One Word Photo Challenge is copper. My dad’s cat, Willow. She’s great at hiding, but my daughter can always find her. She greets her with an excited, “Hi, Willow!” Then gives her a gentle pat and leaves her alone for the rest of our visit with my parents. This entry was posted in Photo Challenge and tagged animals, anthropology, Arkansas, ASD, author, Author Jennifer Adams, author Jennifer N Adams, Autism, Autism awareness, autistic children, blog, blogging, cats, children, children with special needs, children's book author, creative writing, daughter, daycare, family, friends, grandparents, holidays, my daughter, one word photo challenge, parenting, parents, photo-challenge, photography, school, siblings, single parent, single parents, Special needs, travel, Weekly Photo Challenge on April 13, 2015 by JenniferNAdams. Spring break usually means vacation time for some, but to me, it’s time for catching up on college homework, as it does tend to pile up for us non-traditional students. It also means finishing tasks around the house that also needs my attention, such as taking my car into the shop to fix a burned out fuse, as well as having them take care of a recall. Then there’s the usual, dentist and doctor appointments that I can finally make since I have some time off. Or the opportunity to go into work early. All and all, for me, spring break just means staying busy, instead of relaxing on a tropical beach somewhere, listening to the waves crash onto shore, while I work on my tan. But, it isn’t all work and no play, I do find some time for fun. Yesterday, I took my daughter to the Alligator Farm in Hot Springs. She’s been begging me to take her to the zoo, yet most of the things she enjoys is out of order and under construction at our local zoo in Little Rock; the train, petting zoo, etc. 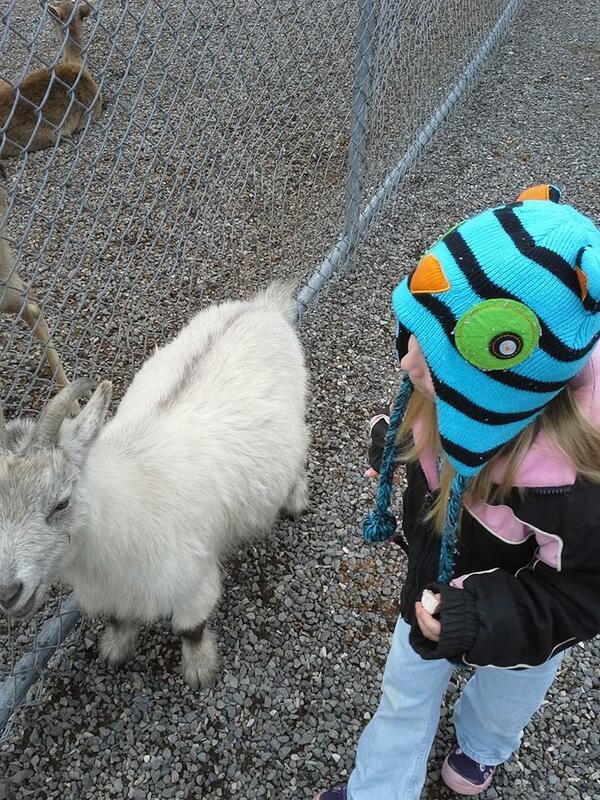 Plus, they no longer have giraffes, which is my daughter’s favorite. 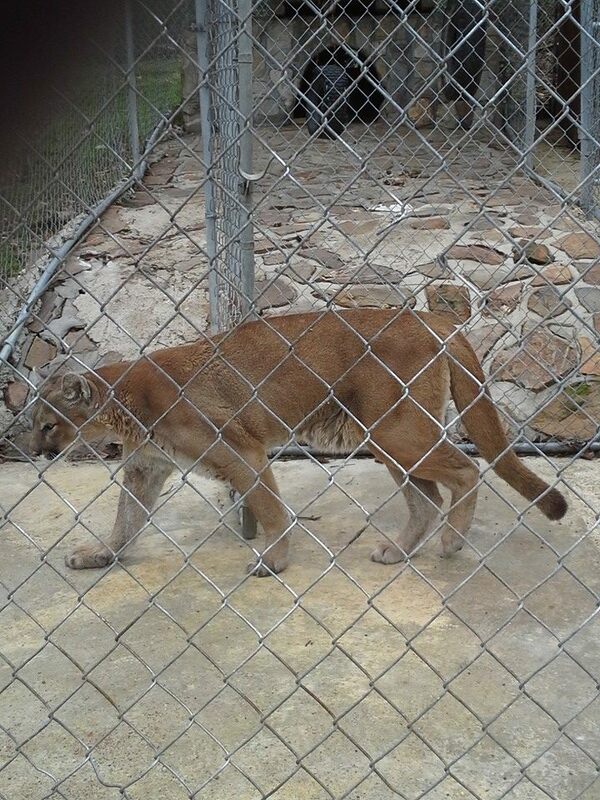 I had thought about taking her to Turpentine Creek, which is a wildcat sanctuary in Eureka Springs, but that’s a four hour drive (back roads and road construction) and it was supposed to rain yesterday. It was also slightly chilly, so taking her into the Ozark Mountains to walk around looking at wildcats wasn’t something she would enjoy. The alligator farm was a relatively short visit. There wasn’t much going on, but on the positive side, it wasn’t crowded. 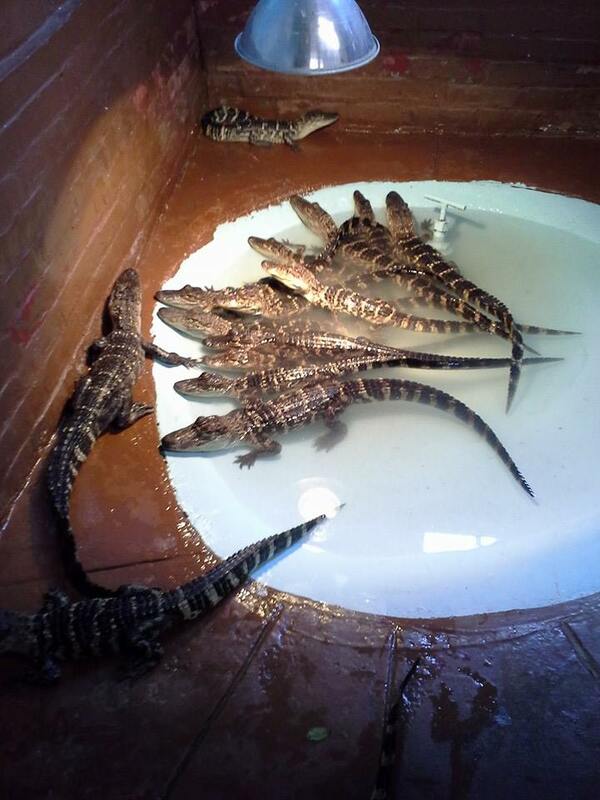 Since alligators are cold blooded reptiles, they were being kept indoors where it’s much warmer. 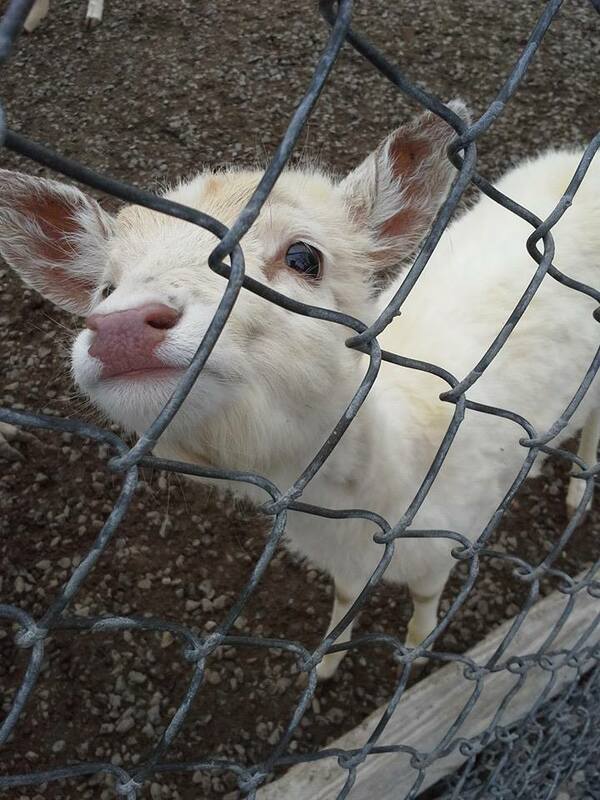 They have spacious yards outside, yet it is still too cold for them to be moved outdoors. Along with the numerous amount of alligators, they also had a pair of Arctic Wolves, a mountain lion, turkeys, mallards and wood ducks, peacocks, a macaque, three lemurs, an emu, a couple of donkeys, and a handful of fallow deer, goats, and sheep. Mini me was infatuated with the alligators, yet knew not to poke her fingers through the fence to try to pet one. Although, there was a guy holding a young alligator for visitors to pet (it had a rubber band around it’s snout so it wouldn’t snap anyone’s fingers off). Of course after I touched it’s belly, she saw that it was okay and touched it twice, which was long enough for me to snap a quick picture. It was a fairly inexpensive trip, yet we always enjoy getting out of the house, no matter the price. 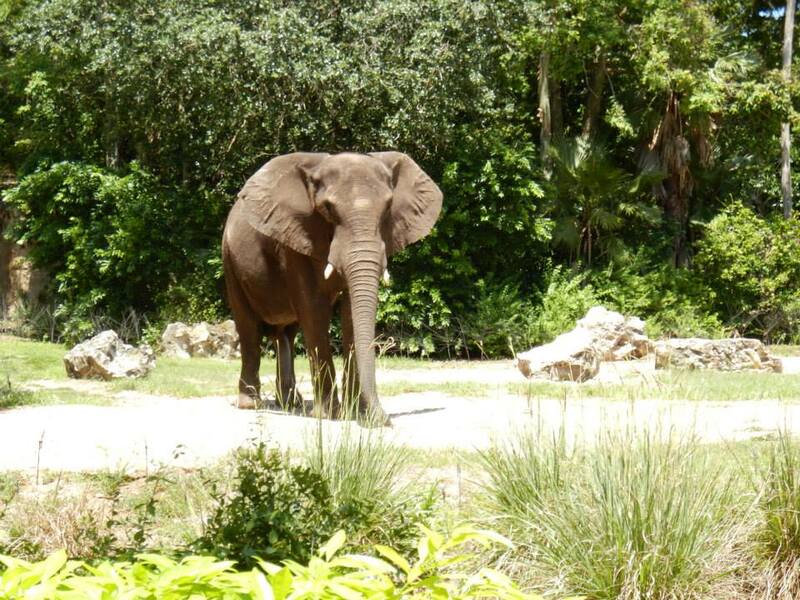 I think that any young child or adult would enjoy taking a few minutes out of their weekend to visit the Alligator Farm. It’s easy to get to, plus it’s located five blocks away from downtown Hot Springs, where there is plenty of other things to see and do for couples and for families. This entry was posted in Blog, Found In Arkansas and tagged Alligator Farm, alligators, animals, anthropology, Arkansas, Arkansas tourism, ASD, author, Author Jennifer Adams, author Jennifer N Adams, authors, Autism, Autism awareness, autistic children, autumn, back to school, blog, blogging, cats, children, children with special needs, children's book author, college, college student, college students, cultural anthropology, culture, daughter, Eureka Springs, fallow deer, family, flowers, friends, gators, grandparents, growing up, history, holidays, Hot Springs, kids, Little Rock, moms, mothers, mountain lion, outdoors, parents, school, sensory processing disorder, siblings, single mom, single moms, single parent, single parents, SPD, Special needs, spring, things to do in Arkansas, toddlers, tourism, Turpentine Creek, United States on March 22, 2015 by JenniferNAdams. What does ‘reward’ mean to you? In the autism world, there are many challenges that are faced every single day. Yet some of those challenges can be very rewarding, for both child and parent. I can think of many challenges we’ve both faced, that in the end, we were equally rewarded – her reward was achieving something out of the ordinary, achieving a goal, breaking out of a habit. For me it was seeing her do something and knowing that she knew she did it without having a complete meltdown, or after the meltdown was over, she saw that what she did, was actually okay. I take her to a place where the hair stylist is familiar with children with special needs; she has a special needs child of her own. Not only that, but the place is very welcoming to all children, especially those with special needs. They can play with all kinds of neat and cool toys. Plus, the stylist doesn’t even have to cut their hair while they’re sitting in a chair. I walked in one day and saw her sweeping up hair from around the train table – the child was preoccupied with the train set, that that was all they were going to do. My daughter was the same way, I couldn’t get her away from the train set, or coax her to sit in the chair to get her hair cut, so the stylist proceeded to cut her hair from where my daughter played. No problems, whatsoever! Maybe there’s a fear of sitting in a barber chair, who knows! The last time I took my daughter to get her hair cut, she sat in the chair without a fuss. Cartoons was playing on the TV The stylist was able to find a cartoon my daughter liked on the TV, which kept her preoccupied long enough for the stylist to go to work. It was only when the cartoon ended did she realize what was going on and started to squirm, though the stylist quickly finished, yet did an amazing job. The stylist then rewarded my daughter with a toy of her choosing, for her being so brave and not making a fuss. This little barber shop also has an awesome store where I can buy sensory toys for my daughter. I even purchased a few puzzles and a few dry erase alphabet mats for my daughter to learn tracing her ABC’s on. My daughter now calls the barber shop, the train place, because of the train set kids can play with while waiting to get their hair cut. There’s also a dollhouse and a few sensory toys around the store where kids can freely play. This entry was posted in Blog, My daughter, Photo Challenge and tagged Arkansas, ASD, Author Jennifer Adams, author Jennifer N Adams, Autism, Autism awareness, autism child, autism children, autism meltdown, autism mom, autism parent, autism world, autistic children, barber shop, barber shop for special needs kids, barbers, blog, blogging, children, children with special needs, children's book author, children's books, Children's literature, college, college student, college students, costumes, creative writing, culture, cutting kids hair, daughter, family, hair, kids, meltdowns, mom, moms, parenting, parents, photo-challenge, photography, reward, rewarding, rewards, sensory, sensory processing disorder, sensory toys, sensory toystore, siblings, single mom, single moms, single parent, single parents, SPD, Special needs, stylist, Weekly Photo Challenge on February 27, 2015 by JenniferNAdams. 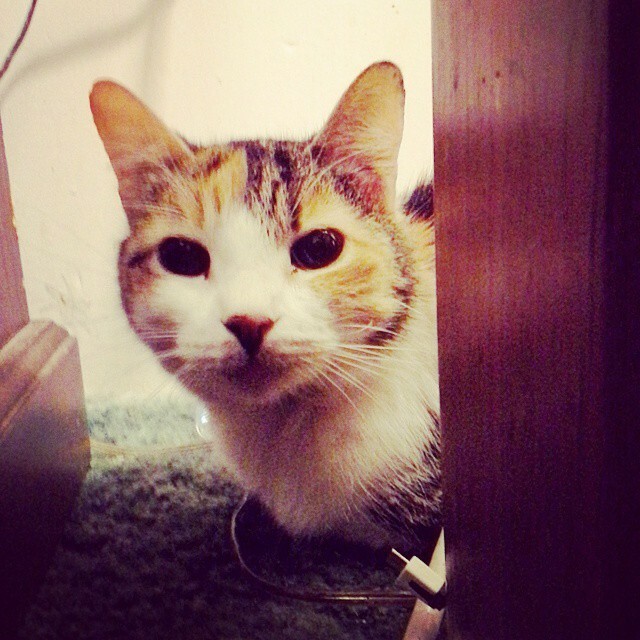 Lately, on facebook, I’ve been seeing people posting pictures of their furbabies and saying that they’ve recently crossed over the rainbow bridge. 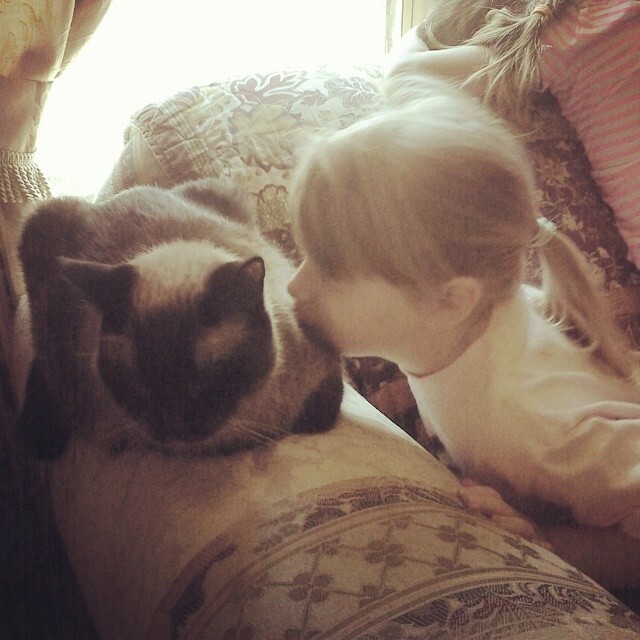 Just last Friday my sister, Jaci, said her last good-byes to her sweet furbaby, Mittens. 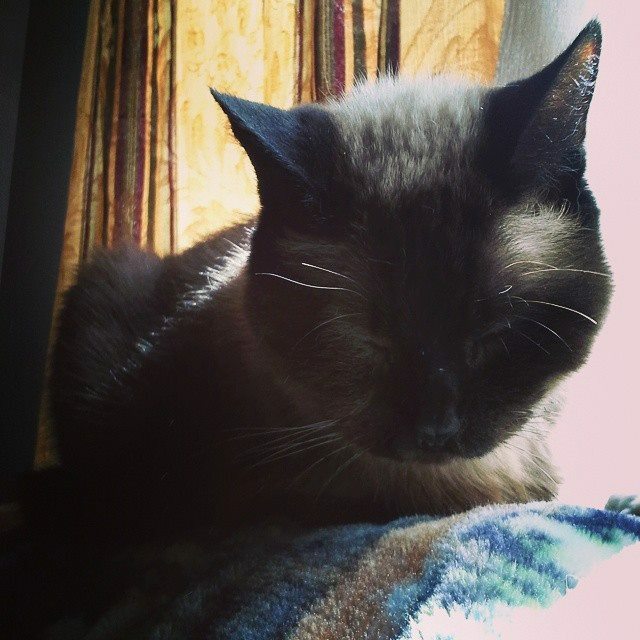 She was 16 and such a sweet, lovable cat. 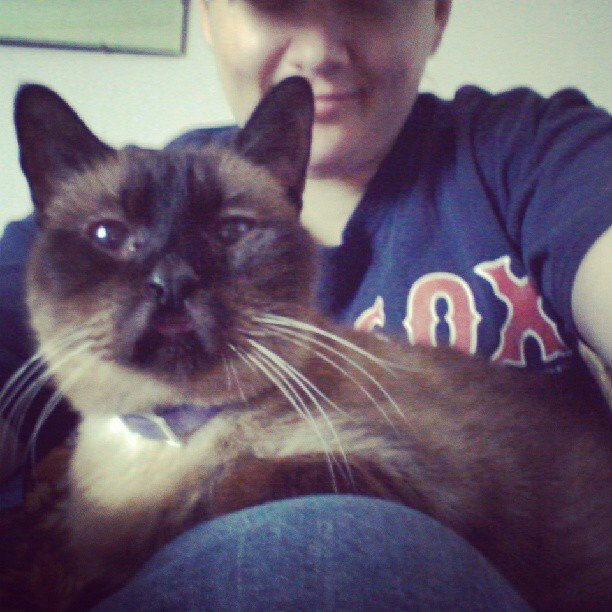 I know that each time I visited, Mittens would come over to me, snuggle in my lap, and turn up her purrbox. How could you not fall in love with that? 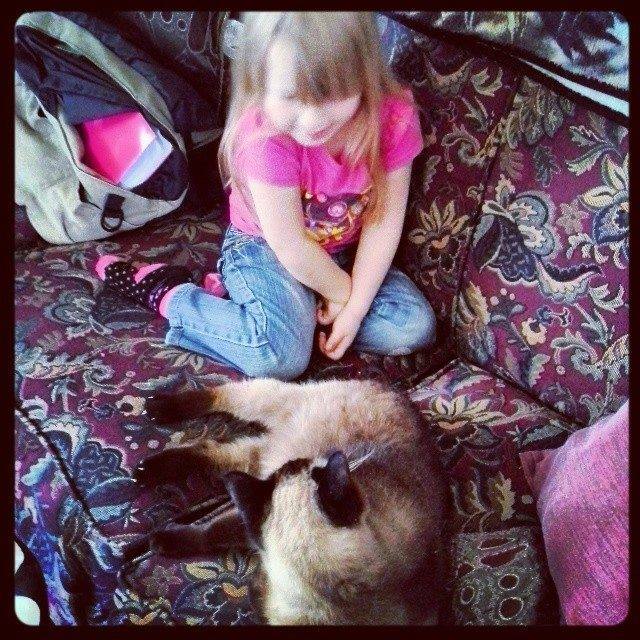 My daughter had become close with Mittens as well and always gave her a gentle pet and a kiss before turning around and chasing the other, much younger cats in the house. 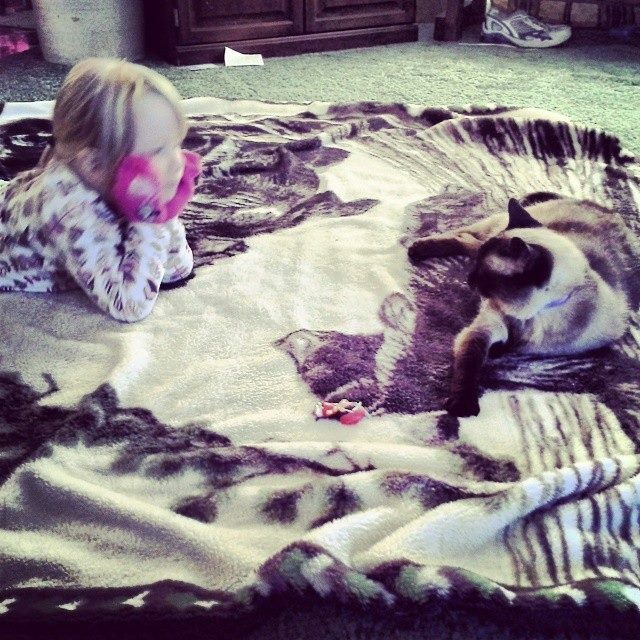 There was something about Mittens that made my daughter be more gentle, lovable, and caring when she was around her. Maybe animals and autistic children have a secret way of communicating. However, I found it sweet and beautiful each time I saw them together. Animals aren’t just pets, they’re family. I’ve had a couple of my own while I was living out on my own and can tell you that losing them was the hardest thing I had to endure, well, losing my grandpa a few years ago was actually the most hardest thing I’ve ever endured. 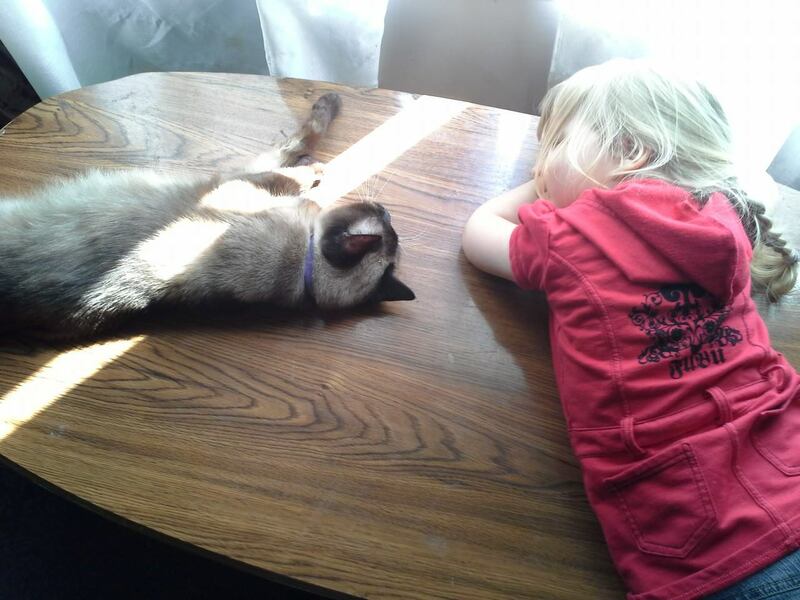 Losing both of my cats was the second hardest. Hugs to all of you who have lost your best friend, your furbaby! This entry was posted in Animals, Blog, My daughter and tagged animals, ASD, Autism, Autism awareness, autistic children, best friends, blog, blogging, cats, children, children with special needs, Facebook, family, feline, friends, furbabies, furbaby, kitteh, lost, love, loved ones, mom, moms, mothers, my daughter, parents, pets, rainbow bridge, sensory processing disorder, siamese, siblings, single mom, single moms, single parent, single parents, sisters, SPD, Special needs on February 12, 2015 by JenniferNAdams. I love it when I stroll through the aisles of my local bookstore and the employees recognize me as one of the local authors. It makes me feel proud, happy, and excited. I’m no Charlaine Harris, but still, I need that little nudge of encouragement, a boost of motivation. It hasn’t been a successful start as a published author. I’ve paid to have a marketing team help me put myself out there and it started out a little rough, but the wrinkles are starting to work themselves out, finally. If I were a betting person, I’m not, but if I were, I would bet that if you googled Dana’s First Fish or my name, Jennifer N. Adams, a nice looking picture of yours truly would pop up. 🙂 Go ahead, google me, it’s okay. 😉 Granted, it took a lot of work and quite a bit of time for that to happen, but Dana’s First Fish appears as my book now and not the work of the other children’s author who shares my name. Since she’s written and published quite a long list of titles, I think it is I who shares her name and not the other way around. When you spend all that time, money, energy into creating something and not receive credit, wouldn’t you be upset? I was. I would show up to events and the coordinator would frown as they were expecting the other Jennifer Adams to show up. I’ve had a few people personally ask me to get with them in a few weeks (when they’re starting to book events) so that I can set up a date to have a book signing with them. I love when someone asks for me to do that. Make sure you keep your eyes open, as I’ll start setting up book signing events for late March or early April. 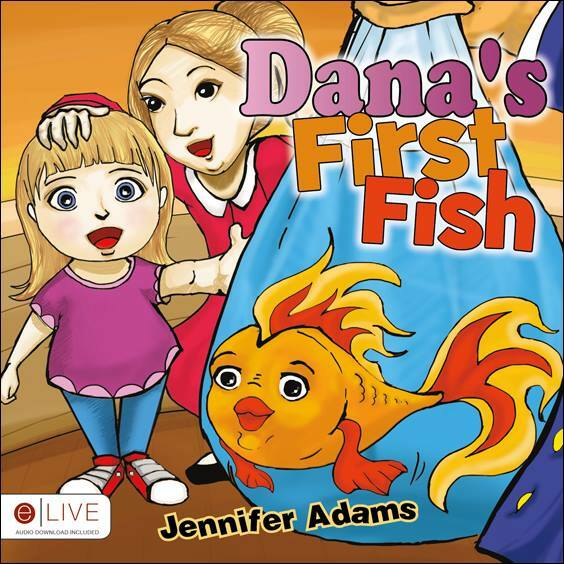 I still have a few copies of Dana’s First Fish on hand if you would like to purchase one or two of them. Just make sure that you make a memo as to whom I’m making it out to in the comments section before you check out completely. This entry was posted in Blog, Books, My Children's Book and tagged agents, animals, Arkansas, ASD, author, Author Jennifer Adams, author Jennifer N Adams, author's websites, authors, Autism, Autism awareness, autistic children, Benton Arkansas, blog, blogging, book signing, books, Bryant Arkansas, children, children with special needs, children's authors, children's book author, children's books, Children's literature, college, college student, college students, colorful, creative writing, Dana's First Fish, daughter, family, Fiction, fish, friends, getting published, grandparents, growing up, humor, Jennifer Adams, Jennifer N Adams, manuscript, marketing, mom, moms, money, mothers, my daughter, parenting, parents, pets, published, published author, publishing, self marketing, sensory processing disorder, siblings, signing events, single mom, single moms, single parent, single parents, SPD, Special needs, spring, toys, website, writer, writing on February 5, 2015 by JenniferNAdams. Earlier today, I caught my daughter going through everyone’s stocking. I know she’s anxiously waiting for Christmas, but I had to again, tell her that she has to wait for Christmas day to open presents, and to also leave the stockings alone as they’re not all for her; she didn’t bother getting into hers, which is on the other side of the tree, with her name on it. I thought I had put them up high enough, but I’m guessing she stood on the back of the couch and got them down, then dumped them all out. I know she particularly liked what my nephew is getting, as she was wearing it. I had to tell her that was for Hunter, which she put back with no arguments. The two of them are really close, like brother and sister. Each time she found my hiding spot, she would open all the presents, carefully putting the empty packages into the trash can, then run around playing with everything she got out. I wasn’t home when this had happened, or it would’ve been prevented when she got too close to where I was hiding everything. When I walked inside the house, she immediately rushed up to me and showed me what she got with all the excitement of a four year old. Of course I knew where she got the toys and inside I was screaming ‘NO!”, but on the outside, I was smiling and just agreed to let her have them. There was no way I was going to take toys away from a child with autism. So, I just simply found a new hiding spot for the next round of presents, twice. I didn’t buy that much for her to open each time I had moved to each hiding spot, but now that it’s closing in on the big day, there’s no way she’s going to get into them now, Mommy is broke, er, I mean Santa is broke, so he put this heavy 20 gallon container in front of the door, hiding all gifts from small and crafty hands. I’m so lucky she can’t read this, lol! I was talking to one of my cousins, and we both agreed that peeking at our presents before Christmas, runs in our family, so I know I’m getting paid for my raising. My sisters and I would open our presents early. Our parents would put a few under the tree and it would bug us, not knowing what was in those wrapped packages. I had unwrapping presents down to a science. Steaming the tape just so and then peal it off without tearing the wrapping. Though once we got a peek at the contents, we weren’t at all happy, so when Christmas arrived, we weren’t all that excited to open anything. Let’s just say, kids aren’t all that happy to receive clothes for Christmas, that wasn’t what we told Santa what we wanted. So what happened? It wasn’t until later when we found out that our little scheme wasn’t much of a secret and that was why the early presents under the tree were nothing but clothes. Now I know how to deal with that when my daughter gets a little bit older, but how to deal with her now is the fun part. I can’t even get her to leave the ornaments on the tree alone. She takes off with them, plays with them, then I can’t find the things when I notice they’re gone. Usually, they’re hanging on the Venetian blinds in the living room, but I guess she got tired of me taking them down and putting them back on the tree because they’re now MIA. 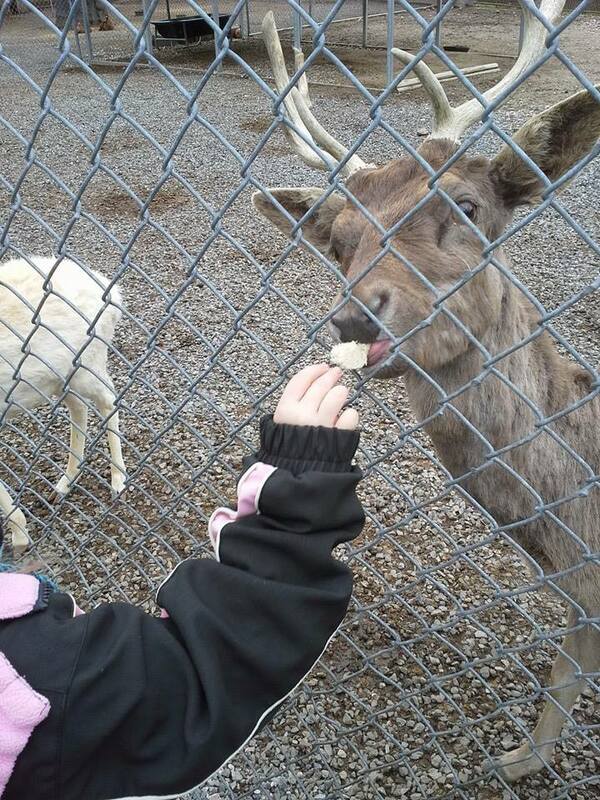 This entry was posted in Blog, Christmas, My daughter and tagged Arkansas, ASD, author, Author Jennifer Adams, author Jennifer N Adams, Autism, Autism awareness, autistic children, blog, blogging, Bryant Arkansas, children, children with special needs, Christmas, Christmas cheer, Christmas presents, Christmas stockings, Christmas tree, college, college student, college students, cousins, daughter, family, funny, growing up, humor, humorous parenting, kids, ornaments, parenting, parents, Santa, siblings on December 7, 2014 by JenniferNAdams. My youngest sister came up from Georgia this past May for a short visit. While she was here it was her birthday and she wanted to go dig for quartz crystals. 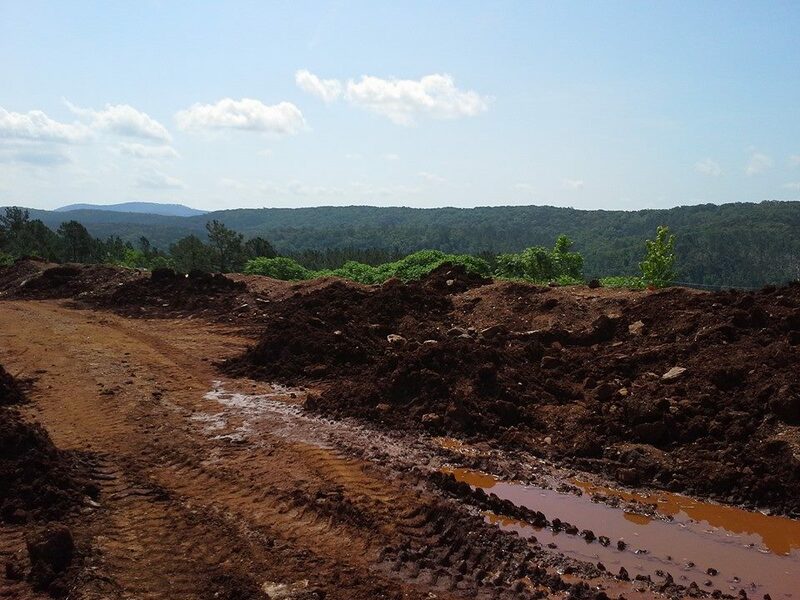 Here in Arkansas there are many places to dig and keep as many crystals as you can load into your car. I’ve seen a few guys trying to carry a huge boulder size quartz rock to their car. Though with each tiring effort, they managed to put it into their car. 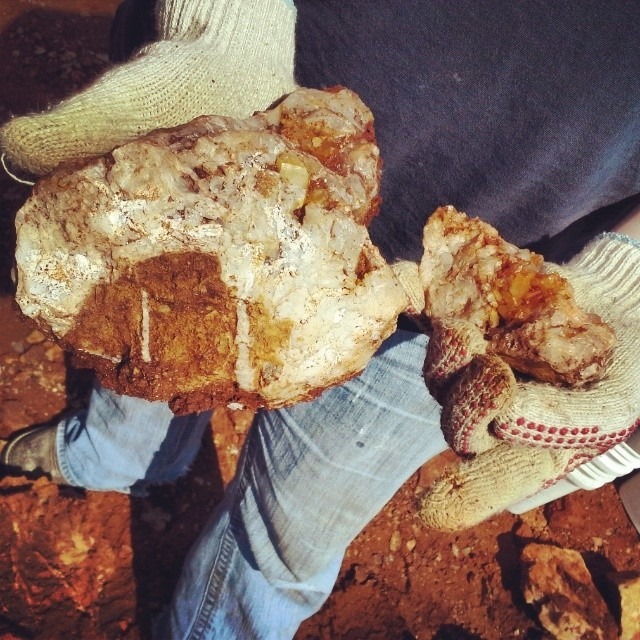 I also noticed a lady, standing near her car with about ten quartz rocks the size of bowling balls, as well as a few buckets full of dirt and rocks. Like I said, if you can manage digging for them and getting them into your car, it’s yours to keep, but for a small fee, which is the admission price for the entire day. Some places I’ve found charge $10 or more. One place charges $20. I was lucky to have found one that charged $8, the only problem was the road getting to the place was badly washed out and in some areas the road was sharply inclined that if I were to let off the gas, my car would roll backwards or I wouldn’t be able to continue the climb without backing all the way down the hill and giving it another charging start back up. 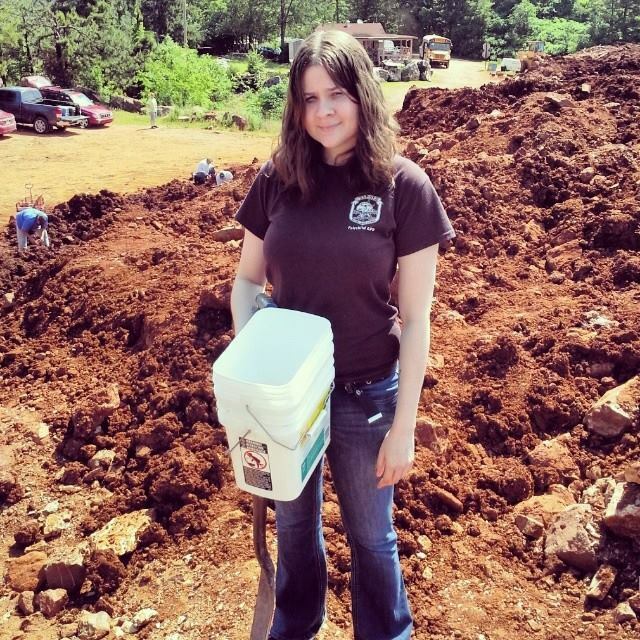 Once we got up the hill and to the actual digging site, I paid for our admission, found a parking spot, then got our tools and buckets out, and headed towards the digging area, which is a huge red hill of lovely clay mud, mostly dried clay rock. 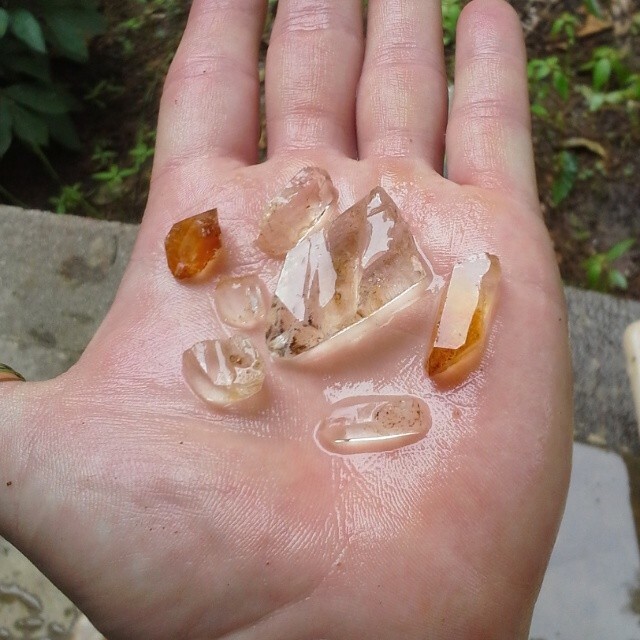 I didn’t care to look for the biggest quartz rock, however, I had set out to find the shiny points to which I planned to use for necklace pendants. After twenty minutes of digging, my sister was bored and hot and decided to go sit in the car. 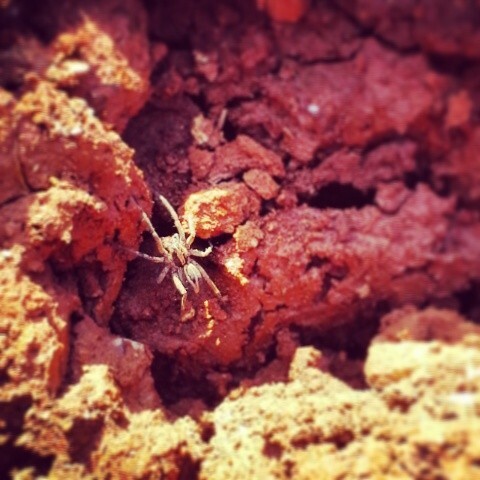 Meanwhile, I continued to dig and scavenge as much as I could. I found quite a lot of clear rocks, some small and some half the size of my hand. I was enjoying myself. It’s the archaeologist in me I think. I did get somewhat cover in the red clay, mostly on my shoes, but that wasn’t what bothered me. What bothered me was the eight-legged residents. I made sure not to bother them as much as I could. I had enjoyed myself so much, that a few weeks later I made another trip back to the same crystal mine and had found more of what I was looking for on that trip than I did on the previous trip. 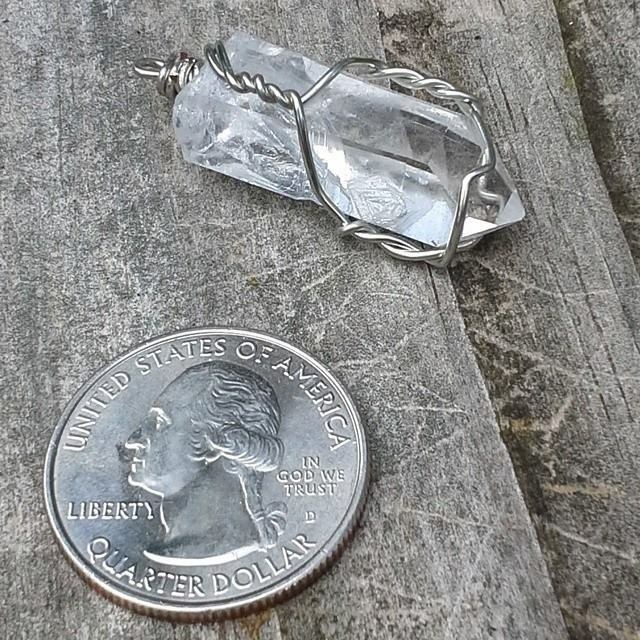 If you are interested in purchasing a small clear crystal rock or pendant, I have them listed on my Etsy page. This entry was posted in Anthropology, Crafts, Travel and tagged adventure, archaeology, Arkansas, Arkansas quartz, crafts, crystal mining, crystals, Etsy, family, Found in Arkansas, geology, humor, mining, necklaces, pendants, quartz, quartz crystals, quartz rocks, rocks, siblings, spiders, things to do in Arkansas, travel on July 30, 2014 by JenniferNAdams. Day three we went to Animal Kingdom. Again, we had to pay $14 to park, then took a tram into the park, dropping us off at the front entrance. My sister and brother-in-law and my daughter and I took our pictures standing in front of the big tree before separating to do our own thing. 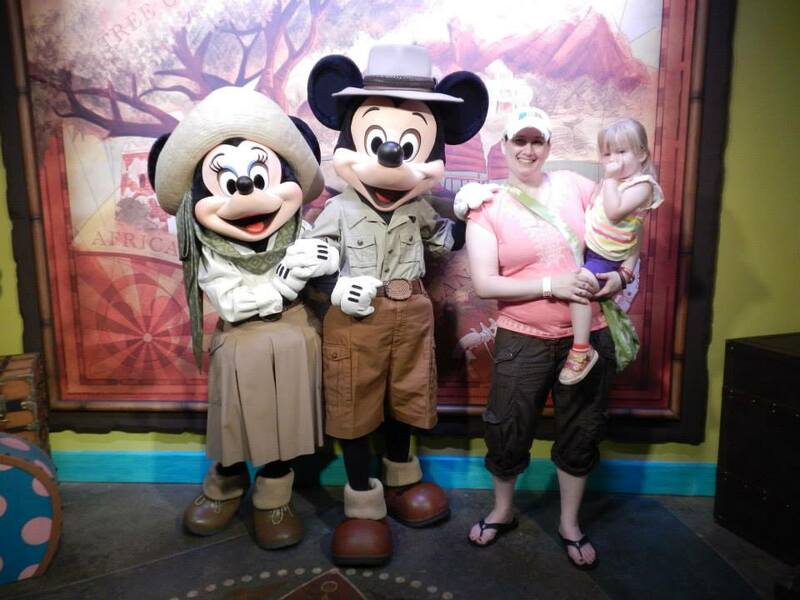 My daughter and I went off to meet some Disney characters. 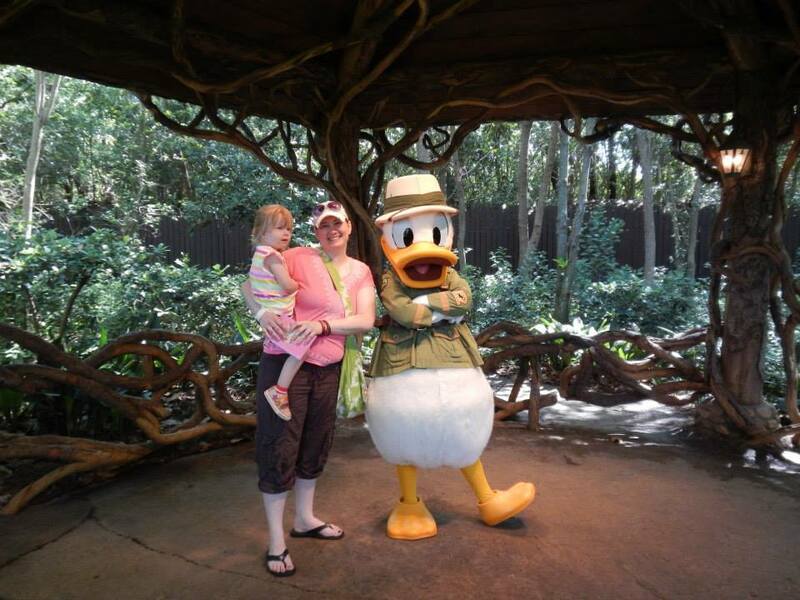 We first found Donald Duck who was also near King Louie and Baloo the bear as well as Chip and Dale. Pocahontas has a spot in that area as well, but wasn’t going to show up until later. We met with Donald then decided to go find Mickey and Minnie. After asking three different people their location we finally found them. I think it would be most helpful if Disney painted footprints on the footpaths leading toward the character locations. This would save time, frustration, and confusion. They were both inside an unmarked building. At least hang a sign on the wall saying this was where they were. Even though there was a Mickey mark on the map, it still didn’t help me find them. We stood in line for a few minutes, snaking our way to meet the famous mice. Once my daughter got the sight of them she started shouting Mickey Mouse’s name in excitement. I had promised her for the past two days that we were going to go find Mickey, though it took us this long to find him. We started to make our way over to stand next to Mickey and Minnie, and my daughter started to cry. She loves Mickey and she is finally getting to meet him. We were able to get Mickey and Minnie’s autograph and our pictures taken and were off to find something else to do. I started walking in the direction of the Rapids ride that I was wanting to ride, but first a stop for something cold to drink as it was really hot outside. After several minutes of waiting on my sister to come watch my daughter for me, I was off to ride the Rapid ride. I had a fast pass which helped me get through the line much quicker. I continued snaking through the queue all the while watching the lady in front of my don a rain parka. Who goes on a wet ride on a hot day and wears a rain parka? Honestly, that’s cheating! Lol! To my surprise I was seated on the same ride as her. We rode all the way through the wild river, getting splashed here and there. I got a little wet, but it was the two people to my right that got soaked. The lady in the rain parka, didn’t even get sprinkled on, so my thought was that there was no need for it. Ah well. I found my sister and brother-in-law and we made our way to the animal safari. I knew my daughter was going to enjoy it. 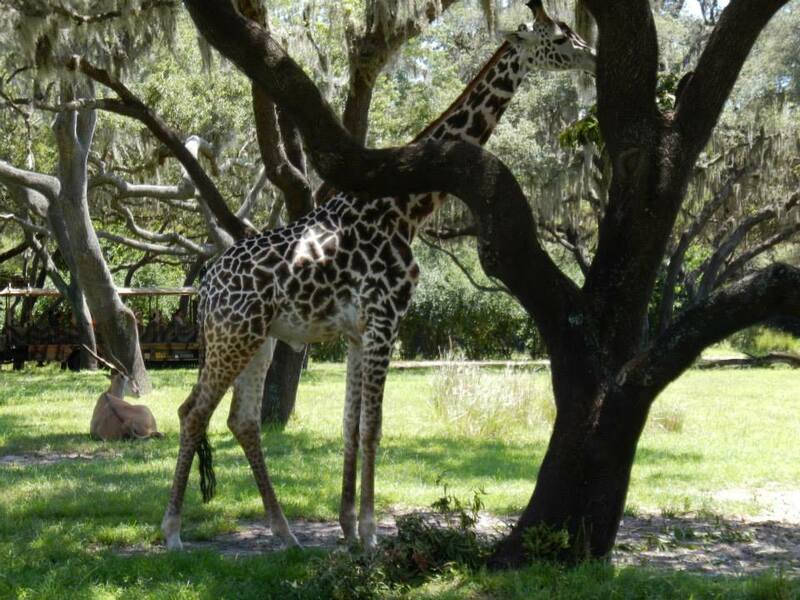 We saw quite a few giraffes, her favorite, and a few elephants, rhinos, crocodiles, and hippos. We also saw at least a hundred turkey buzzards. Honestly, I’ve never seen so many turkey buzzards in one location in my life. We finished the Animal Kingdom with a stop for lunch at the Rainforest Cafe, where we each got a military discount on our meals. The food was so good, the atmosphere was wonderful, and most of all my daughter was enjoying herself. Next stop was Epcot. Since we had already paid $14 to park at the Animal Kingdom we didn’t have to pay the fee to park again at Epcot. Upon walking through the entrance there were two Disney characters standing in the shade, Daisy Duck and Goofy. 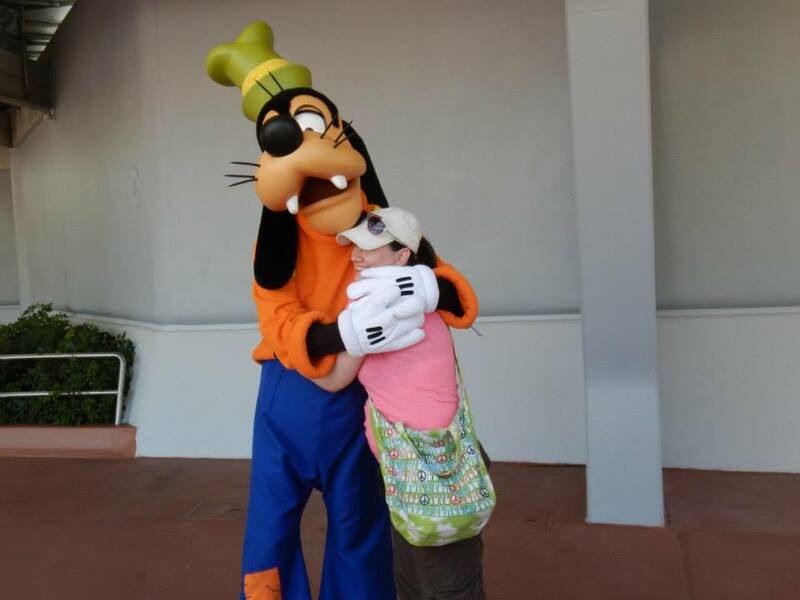 Of course I had to go meet Goofy, he was my favorite! 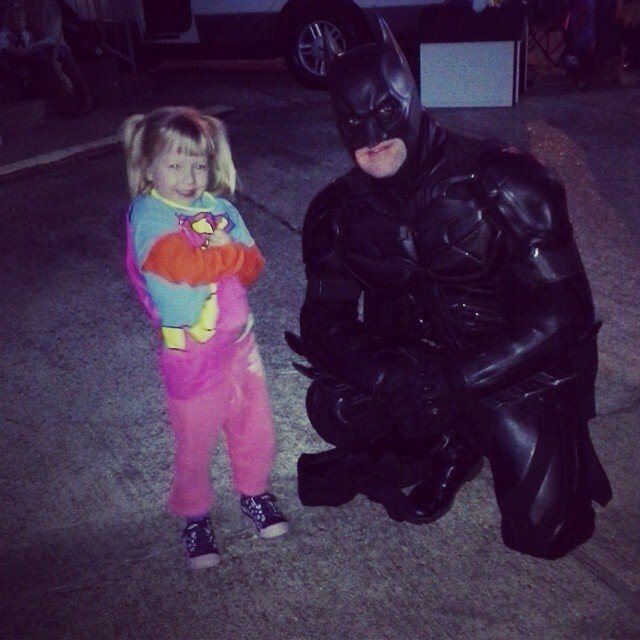 he was such a pleasure to meet and very funny to my daughter. I even got the chance to give him a big hug. Once again my sister and brother-in-law parted my company, leaving me to find something for me and my daughter to do. It had been a long, busy day and my daughter was beginning to get cranky. It was also hot and most importantly it was way past her nap time. We did manage to find the Nemo ride, which entertained her for a short while before I had to text my sister that I needed to head back to the hotel room to put my duaghter down for a nap. 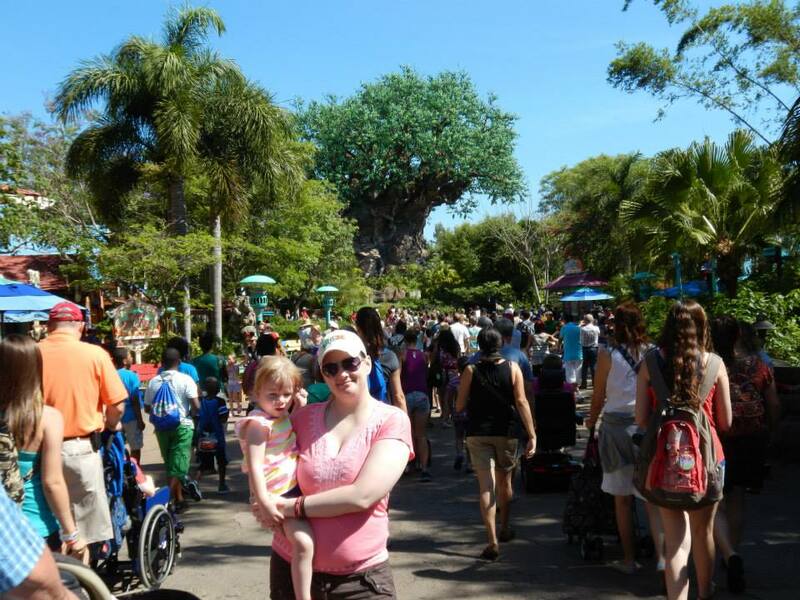 If you decide to make a trip to Disney, make sure you add Animal Kingdom to the list. Go on the Animal Safari, you would enjoy it! This entry was posted in Blog, Disney World 2013 and tagged Animal Kingdom, animals, children, Daisy Duck, Disney World, Donald Duck, family, Goofy, kids, Mickey Mouse, Orlando, Rainforest Cafe, siblings, theme parks, toddlers, Walt Disney on June 14, 2013 by JenniferNAdams.